"Every morning dawns with an ache, a pang of wheresomeness and shallow water." In terms of definitions, "Ness" is an English suffix forming abstract nouns denoting quality and state - darkness, goodness, kindness, preparedness. There are places, organizations, people, and myths where "Ness" occurs. One could be named Ness Ness as it is a given and surname. And if one were an Irish princess from mythology one could be Ness Ness Ness. Typically a movie or toy character pops up with names that are unusual. Ness is a game and a playable character in Super Smash Bros.4. There's nesstheband and their tag line is "whatever's unclear to you, it's the same for me - ness." And there are many products on Amazon with "Ness" in their names - from Scottish clothing to soup ladles, hats, mirrors, motorcycle handlebars, and cat litter pans. 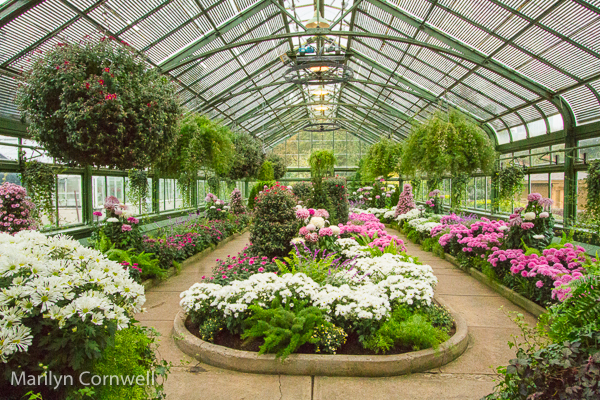 Today our pictures show the Chrysanthemum display at the Niagara Showcase Greenhouses. It is a popular festival every year throughout the world. 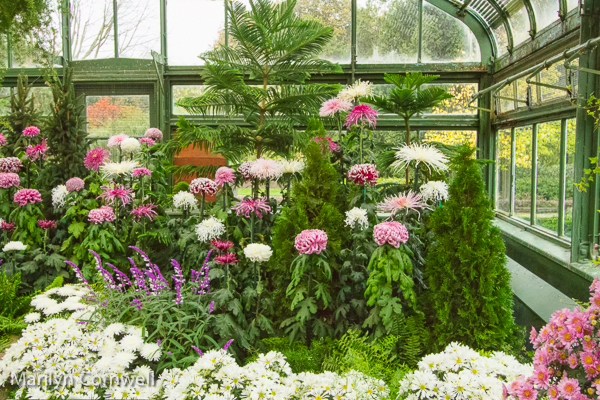 Longwood Gardens has the thousand flower tree display right now. 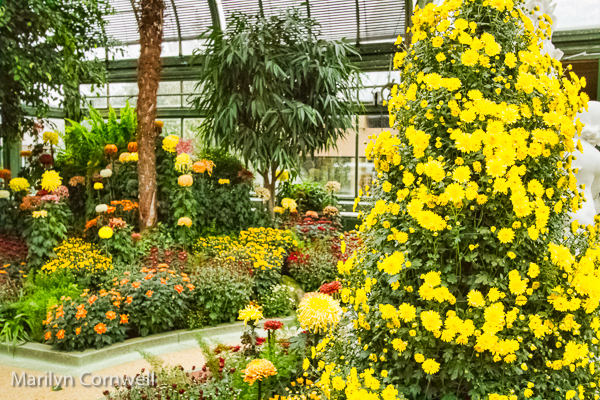 Japan has Chrysanthemum Day - one of five ancient sacred festivals. 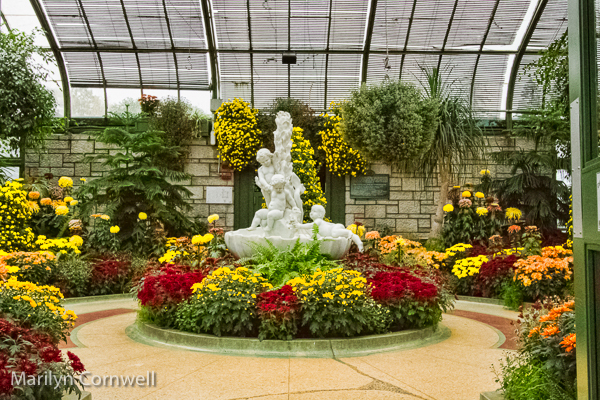 Korea, Germany, China, and more have displays where Chrysanthemums are used in mosaic culture displays. The Niagara Parks display always has a Romantic section with pinks, purples and whites, and a contrasting primary colour display section.